For years you have had a double chin that you really hate. Perhaps, you have gained a lot of weight and with it, developed a fatty neck. Or, maybe it’s just some extra fat or fullness under your chin which you have that makes you look older and less attractive. Whatever the case, you just want to either get rid of it or make it look better. Are there any non-surgical options available that can treat your double chin/neck fat? Indeed there are and one of these options is with Kybella® (injections). 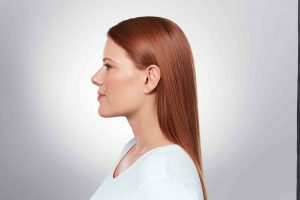 Kybella® is a revolutionary treatment that uses an injectable medication (deoxycholic acid – a naturally occurring substance in the body) to treat and reduce submental (chin/neck) fat by destroying fat cells. 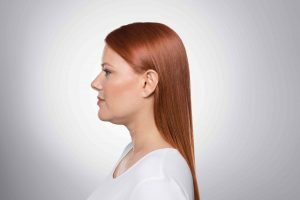 Recently approved by the U.S. Food and Drug Administration specifically for the treatment of fatty necks in patients 18 years and older, it can help you obtain a more attractive, contoured and slimmer neck and jawline without the need for surgery or significant downtime. And, the results are long lasting! The treatment is performed in the office and takes about 20 – 30 minutes total per session. Depending on a variety of factors, “full” treatment of your neck typically could require two to three sessions though some individuals may need more. These are usually spaced about a month and a half or more apart which allows for more precision and less inflammation and swelling. You can expect some soreness, swelling and bruising after each Kybella® treatment which can be addressed by cool packs, minimal pain medication and makeup. Full activities can usually be resumed within one to two days. If you would like more information about Kybella® or to schedule a consultation with me, please call my office at 480-451-3000.